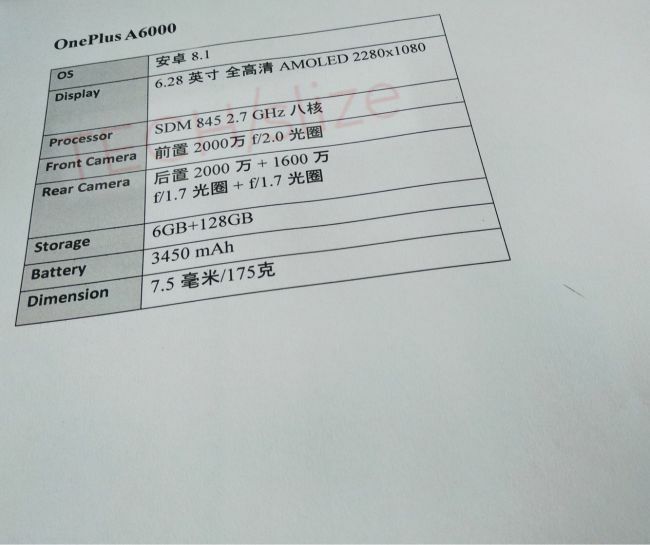 We already have new leaked details of OnePlus 6, one of the most anticipated device for the first half of 2018. 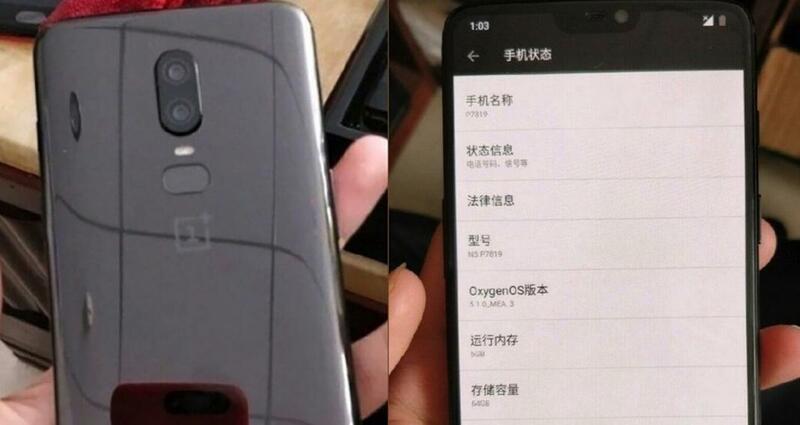 This leaked details revealed the part of its specifications, starting in an AMOLED panel of 6.28 inches at a Full HD + resolution of 2280 x 1080 pixels that would be confirming the inclusion of the fateful ‘notch’ at the top of the screen, which is brought to life by means of the fashionable SoC in flagship devices: the Snapdragon 845 @ 2.70 GHz, which is linked to an unnecessary 6 GB of LPDDR4X RAM that will help increase its price along with two options of storage of128GB / 256GB capacity. 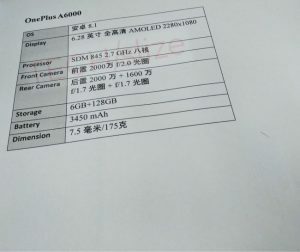 The rest of the specifications, go through the use of a configuration of dual rear camera of 20 + 16 megapixels with an opening F / 1.7 for both, the use of a front camera of 20 MP F / 2.0 for selfies and video call, in its 7.5 mm thick chassis integrates a 3540 mAh battery and all this is controlled by means of the Android 8.1 Nougat operating system and gives a total weight of 175 grams. 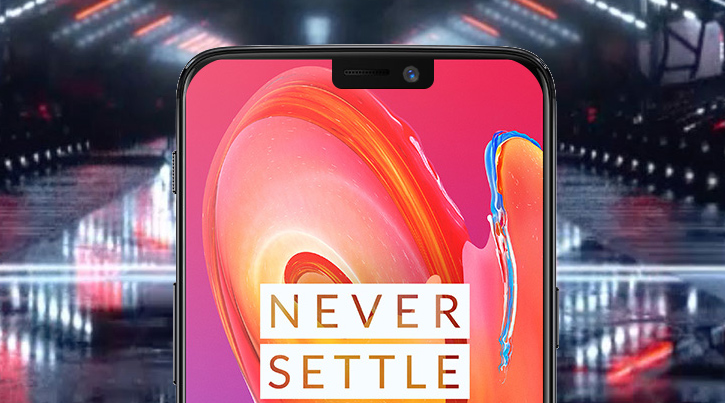 Regarding the price, a suggested price of 749 dollars is indicated for OnePlus 6 with 256 GB capacity, so in terms of price we see how the company adds to the fashion of increasing its price. Top of the range.